Vibrant sweet basil, zesty bright grapefruit, toasty pecans and creamy olive oil with the perfect amount of parmesan cheesy goodness. 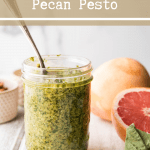 Grapefruit and Pecan Pesto is here to put a bright and fresh Spring flavor right onto your fork…or pasta…or bread. Or just make a nice little bed of pesto for a creamy ball of burrata to live on top. I like that option best. 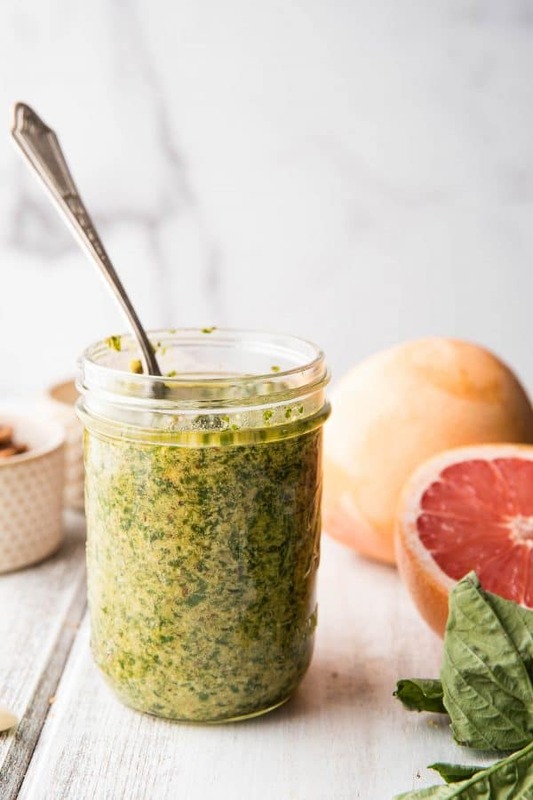 No matter what you pair it with, this grapefruit inspired pesto is going to bring life to your weekday classic go-to meals. I get it. 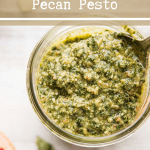 You’re thinking, “mmm….I don’t know about grapefruit in pesto girl.” Or maybe your live on the traditional “pine nuts only” pesto train. Well, prepare to get off at the next stop because here is why it’s freaking great. Olive oil is a fat, nuts are a fat. PB + Jelly friendship levels coming at you. And on the note about pecans…. 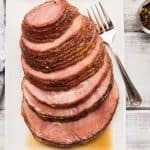 With the naturally good taste of pecans, roasted just a smidge to really get the flavors going, it also is a great flavor match for the grapefruit and basil. 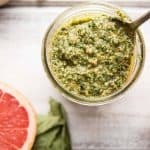 Why shouldn’t you make grapefruit and basil pecan pesto? None. Zero. Zip. I have no reasons why not. So let’s cover the basics. Isn’t there some sort of slogan that goes, “have food processor will travel” or did I make that up? I definitely made that up. But that doesn’t mean I’m wrong. A food processor is going to get you so many tasty things, like this simple but awesome Homemade Pizza Sauce or you can even make pie crust in it! Ina Garten does it, so it must be good. So by having the food processor, I think maybe just your food is going to travel to bigger, better, tastier experiences. 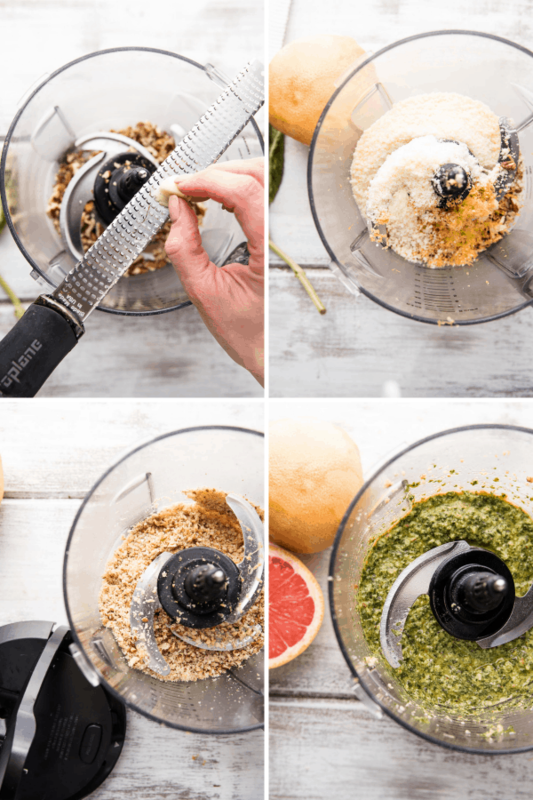 Starting with some grapefruit basil pecan pesto up in yo face, so pack your bags food processor! Want to see how simple this is? Look at the picture. Okay, pesto is done. Let’s eat. Zest a grapefruit. Finely mince or grate the garlic – grating is easier IMO and no need for a knife and cutting board (= less dishes yay!) and add to FP. Add cheese. I know the recipe says 3/4 cup, but feel free to measure liberally. Pulse it like a Saturday morning Flybarre class. Add the basil and grapefruit juice, sprinkle the salt. Run the FP while slowing pouring in olive oil – the slow pour helps it to emulsify. 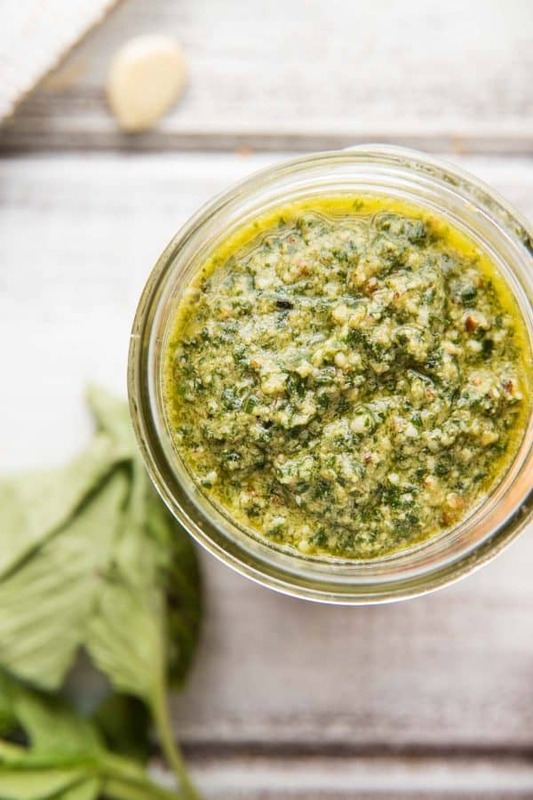 Oh hello there, pesto master. Now you could go all Netflix’s Salt Fat Acid Heat and use a mortar and pestle to grind together, but I certainly don’t have time for that and I’m assuming neither do you. Let’s cook up some pasta or just warm up bread for dipping or serve with fresh burrata and tomato and a drizzle of aged balsamic and reward your taste buds for the work – even if it wasn’t really that hard. 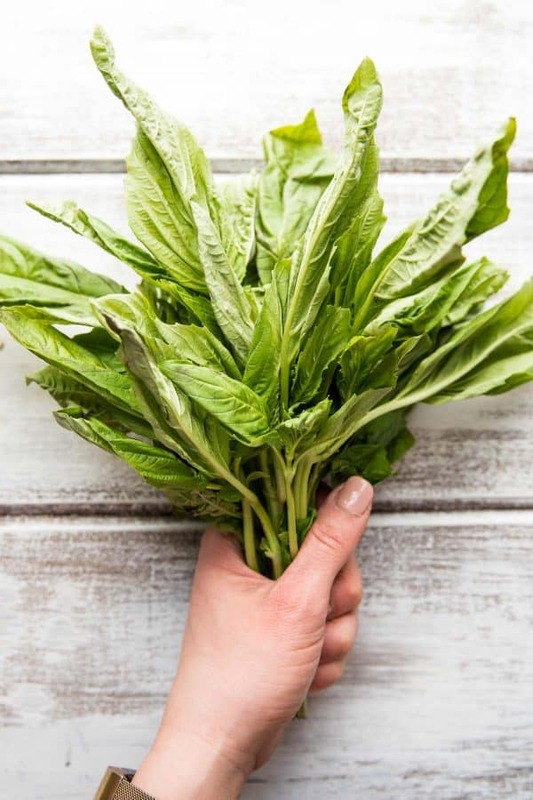 Tell me your favorite ways to eat pesto in the comments! Vibrant sweet basil, zesty bright grapefruit, toasty pecans and creamy olive oil with the perfect amount of parmesan cheesy goodness. 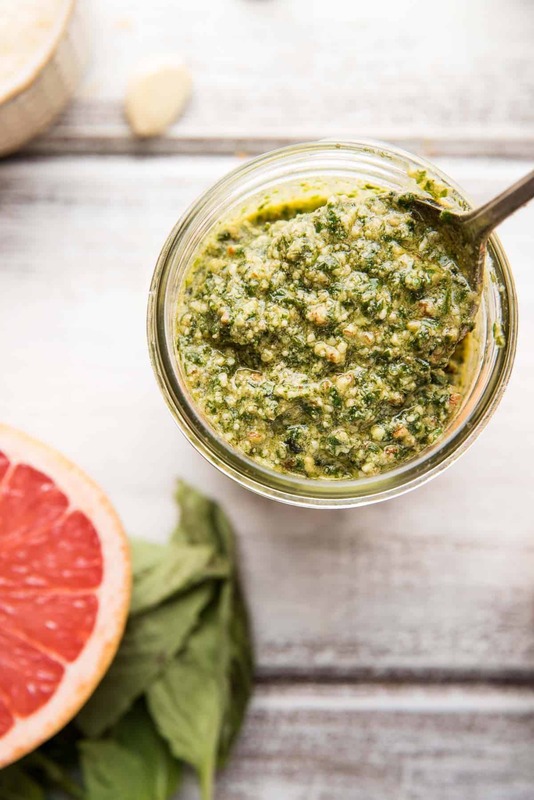 Grapefruit and Basil Pecan Pesto is here to put a bright and fresh Spring flavor right onto your fork…or pasta…or bread. Preheat the oven to 350F. 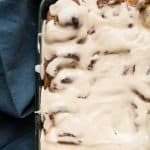 Spread the pecans on a baking sheet into a single layer. Toast for 3 to 4 minutes until lightly browned and aromatic. Transfer to the food processor and let cool. In the food processor, add the garlic (see note), grapefruit zest and parmesan cheese. Pulse for about 1 minute, until the ingredients are finally ground. 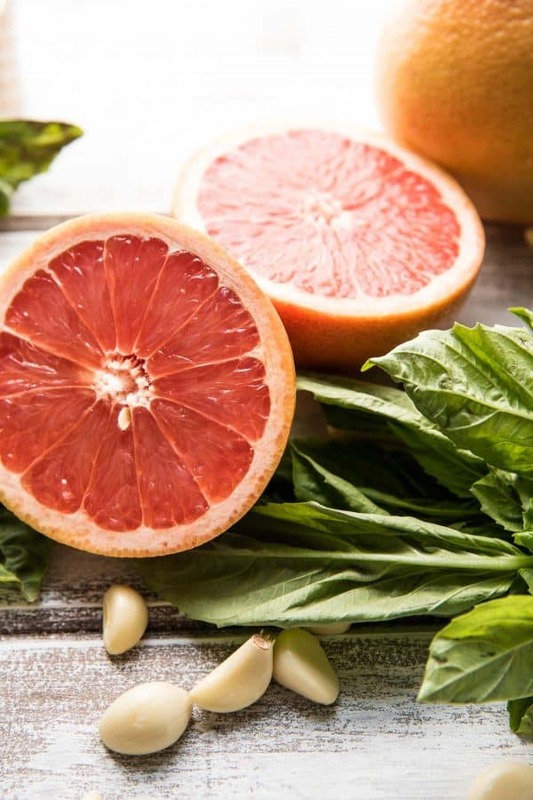 Pack the basil into the food processor, add the grapefruit juice and sprinkle with salt. 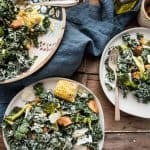 Close the lid and turn the food processor on. With the blade running, slowly add the olive oil into a steady drizzle until incorporated. Serve over your favorite pasta. This pesto will keep overnight up til 2 says, but cover with a thin layer of oil to prevent browning. 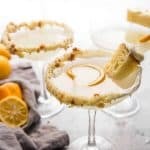 You’ll need a zester for both the grapefruit and the garlic. My favorite is a microplane.